Kids Party Hire - Kids Party Equipment for Hire! A great selection of kids Equipment for hire! Kids Entertaiment for Hire and Kids Games Hire - Johannesburg - We have a full range of Kids Equipment for hire to Choose from. Full Range of Kids Inflatable for Hire for Kids Parties Kids Functions. Arcade Games Hire - A Selection of Arcade Games for Hire. Arcade Machines Hire - Have a 1 or 2 player options with your Arcade Hire. Hours of Fun and Excitment. We have a wide Selection of Arcade Games to Choose from for Kids. We have some of the following Arcade Games for hire to choose from 450 Games in 1 Arcade hire or the Popular Dance Dance Revolution or Racing Simulator Hire for all Kiddies Parties and Private Parties. Disco Jukebox Hire Johannesburg - Kids Jukebox Hire - Great for Kids Bling Parties - Kids Sweet 16 Party Hire with Sound, Music, and Bling Mirror Ball. Party to be a Great Hit - Spice up your Kids Party Today! Dunk Tank Hire Johannesburg - Entertainment at its best. Kids Dunk Tank Hire - Great Fun for School Events, Kids Events Kids Parties. Dunk Tank also known as a dunking booth Hire or Dunking Machine Hire, is an attraction mainly used in fairs, fundraisers, and parties. Consists of a large tank of water, over which a volunteer sits on a collapsing seat. When a ball strikes a target, the seat collapses, dunking the person into the water. People will often volunteer to get dunked fully clothed for a humorous effect. Movie Night Hire - Gather up Friends and family Under the Night Sky and Enjoy the Entertainment of having your very own Cinema night with your very own Inflatable Screen at the convenience of your Home or upcoming Event. Top Quality Hire! Hire Kiddies Soccer Goal Posts, Soccer Goals. Hire a Single Kiddies Goal Post or 2 Goal Kiddies Goal Posts. Soccer Ball is included with Goal Posts. Playstation 4 Consoles and Xbox 1 Consoles for Hire. Consoles Hire will include - Gaming Console, 2x Gaming Controllers, Gaming Stand - Optional, LED Screen and a Selection of Games available on Request. 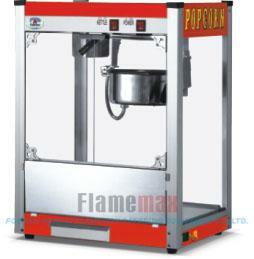 2x 500g Packets of popcorn, 200ml Oil and a selection of 5 Popcorn Spices to choose from with you popcorn hire. Hire a Candy Floss Machine - Candy Floss Machine Hire is the genuine industrial type candy floss machine. Your Candy Floss Machine Hire will include the sugar flavours which you can choose from. Rent your own candy floss machine Today! Hire a Waffle Stick Machine - Waffle Machine Hire is the geniune industrial type Waffle Stick Machine Hire. Your Waffle Stick Hire will include the Sticks with the hire. Rent your own Waffle Stick Machine Today! 50 x Cups, 50 x Straws and 2 x 5L Slush puppy Syrup. Strawberry, Bubble-gum, Cream Soda, Black Currant, Grape, Orange, Blueberry, Cherry. Hire your Slush Puppy Machine Today.